SHERMAN, Texas – A 35-year-old Little Elm, Texas man has pleaded guilty to federal violations in the Eastern District of Texas, announced U.S. Attorney John M. Bales today. Joey Earl Cooper pleaded guilty to wire fraud today before U.S. District Judge Amos L. Mazzant. According to information presented in court, from April 2011 to July 2012, Cooper controlled a Wells Fargo bank account in the name of Darmaini & Cooper BG, Inc., in Frisco, Texas. Cooper also operated a private postal center in Little Elm, Texas. During this time, Cooper devised a scheme to defraud two customers of his private postal center and Citibank by using the customer’s Citibank credit card, which was only provided to Cooper to pay for the customer’s mailings from his private postal center, to transfer funds from Citibank to his Wells Fargo bank account. Cooper would then withdraw the funds from his Wells Fargo account and use the money for his own personal benefit. Cooper was indicted by a federal grand jury on Aug. 13, 2014 charging Cooper with federal violations. He was arrested by Special Agents of the IRS Criminal Investigation on Sep. 14, 2014 at JFK International Airport in New York. Cooper faces up to 10 years in federal prison and forfeiture of $1,001,360.92. A sentencing date has not been set. 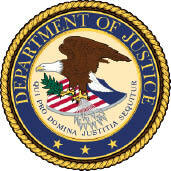 via USDOJ: US Attorney's Office – Eastern District of Texas. Give him a break and have him forfeit just a million dollars and call it even. The man knows how to handle his money foolishly. Let him replace Donahoe.